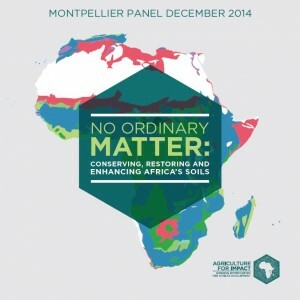 Agriculture for Impact presented the new Montpellier Panel report ‘No Ordinary Matter: Conserving, Restoring and Enhancing Africa’s Soils’ on Thursday 4th December 2014 at the International Fund for Agricultural Development, Rome- ahead of World Soil Day on the 5th of December. In sub-Saharan Africa, an estimated 65 per cent of soils are degraded, and unable to nourish the crops the chronically food insecure continent requires. Poverty, climate change, population pressures and inadequate farming techniques are leading to a continuous decline in the health of African soils, whilst the economic loss is estimated at USD 68 billion per year. Conversely, better land management practices could deliver up to USD 1.4 trillion globally in increased crop production – 35 times the losses. This report from the Montpellier Panel argues that if left unaddressed, the cycle of poor land management will result in higher barriers to food security, agricultural development for smallholder farmers and wider economic growth for Africa. Are donors and governments neglecting soil health in Africa? What are the key approaches to restoring Africa’s soils? How can improved land management tackle climate change in Africa? 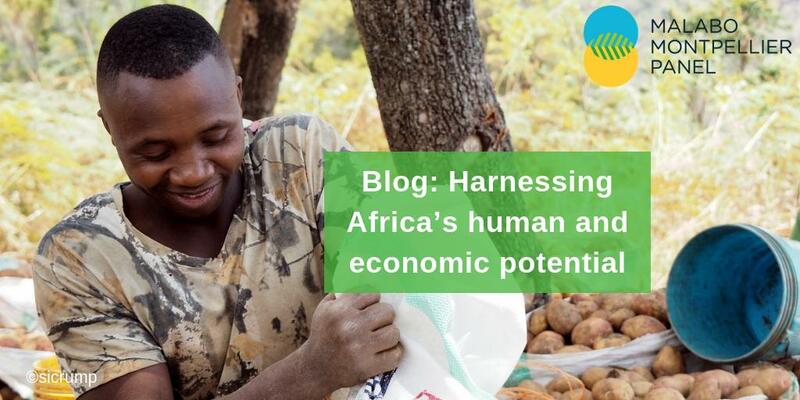 Agriculture’s ability to catalyse rural development and eradicate poverty has been widely cited, with the World Bank claiming GDP growth from agriculture in Africa approximately 11 times more effective for reducing poverty than growth coming from any other sector. In 2006, the African Union’s Abuja declaration called for fertiliser use in sub-Saharan Africa to increase from today’s average of 8 kg/ha — the world’s lowest — to at least 50 kg/ha by 2015. However, agriculture must be implemented sustainably in order for food security to be possible for future generations, therefore the panel calls for ‘Integrated Soil Management’; combining targeted and selected use of fertilisers alongside traditional methods such as application of livestock manure, intercropping with nitrogen-fixing legumes or covering farmland with crop residues. The launch was opened by Kanayo Nwanze, President of the International Fund for Agricultural Development at the United Nations in Rome. Director of Agriculture for Impact, Professor Sir Gordon Conway chaired the panel discussion – comprising David Radcliffe Senior Advsior for Development and Cooperation DG at the European Commission, Camilla Toulmin, Director of the IIED, and Henri Carsalade, Agropolis Foundation – before opening up the conversation to questions from the audience.